The parish and community centre is an extension to the church from the eighties designed by Manfred Vilhjalmsson and Thorvaldur S. Thorvaldsson. The centre is connected to the existing Arbaejar church via a grand staircase. The staircase connects the three levels of the new parish centre, and these three levels house offices, teaching areas and a large community hall. The staircase is also an informal meeting space and can be used for teaching purposes. 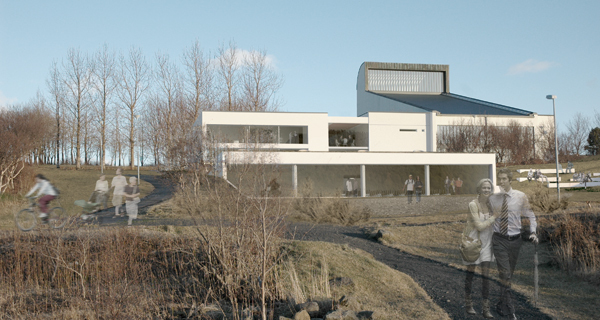 The new building is designed with great respect for the existing church and it sits quietly in the landscape facing the beautiful views of the valley.